Mother Jones was dangerous—to the capitalists. During the labor struggles of the late 1800s and early 1900s, the rising consciousness of U.S. workers posed a growing threat to the few private owners who reaped huge profits from workers’ labor. As a leader in many of these struggles, Mother Jones’s revolutionary message permeated the masses. Her words and deeds evoked fear in the parasitic capitalists. For this, she is remembered as a revolutionary leader. Mother Jones was born Marry Harris on May 1, 1830, in Cork, Ireland. After getting into trouble for political activities, her father, a Roman Catholic tenant farmer, moved the family to Toronto, Canada. She eventually married George Jones, an iron molder. 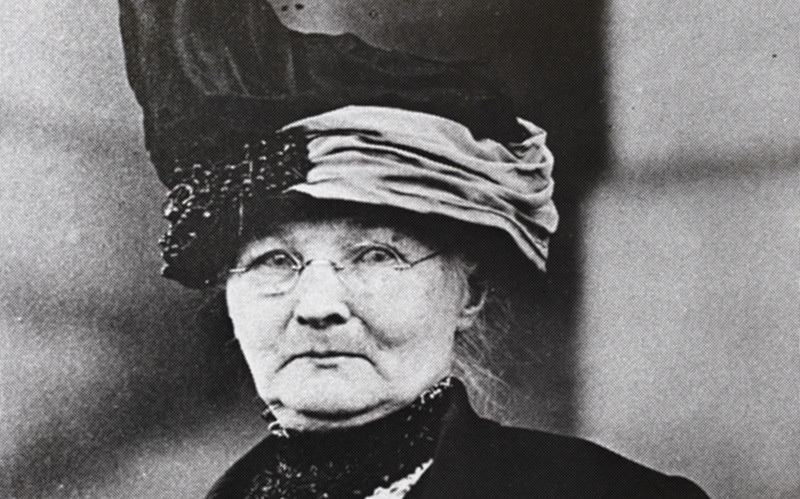 Mary Harris Jones quickly became an active member of the Iron Molders’ Union. After tragically losing her family to the yellow fever epidemic in 1867 and subsequently losing all of her material possessions in the Great Chicago Fire of 1871, Jones found herself alone and desperate. Her life situation caused her to strongly identify with the desperation of the workers that had no protection against low wages, terrible working conditions and long work hours. From the 1890s to the 1920s, she became a political “hell-raiser” as a trade union organizer and revolutionary activist. Jones specialized in helping the miners’ struggle for decent wages, better working conditions and an end to child labor. She was given the nickname Mother Jones because she adopted the workers as her children in lieu of her own family. Since Mother Jones became politically active near the age of 50, she carried the image of a sweet, grey-haired grandmother. Underneath that fa?ade was a powerful speaker who played an important role in mobilizing and organizing the working class. Her political agitation skills were so accomplished that she was considered the greatest woman agitator of her time. Her list of political accomplishments is long. Jones organized for the United Mine Workers Union. In 1898, she was one of the founders of the Social Democratic Party, which merged into the Socialist Party of America three years later. Mother Jones gained national recognition in 1912-13 during the Paint Creek-Cabin Creek strike in West Virginia. This strike was especially notable in history because of the amount of violence that erupted from it. Mother Jones was famous for gathering attention for the workers’ movement in whatever way she could. She used creative methods to mobilize working people. In an impressive demonstration, Jones led a march of workers’ wives who chased away strike breakers with mops and brooms. When struggling for the abolishment of child labor in 1903, Jones led a caravan full of strikers’ children to the home of Theodore Roosevelt in Long Island, New York. Jones’s fearless tactics were primary organizing tools against the repressive owners. She sometimes even resorted to embarrassing men into action. Jones recalled telling a crowd of workers, “I have been in jail more than once and I expect to go again. If you are too cowardly to fight, I will fight.” With her words and revolutionary ideas, she moved people into action and toward revolution. Jones remained active until the very end of her life. In her 80s, she supported strikes involving streetcar, garment and steel workers. She died on November 30, 1930. The reach of political agitation like that employed by Mother Jones and the Wobblies has diminished over time, primarily because the capitalist media dominates in the lives of hundreds of millions. But effective working-class agitation has lost none of its power. The revolutionary legacy of Mother Jones is there to guide us in our present-day fight against capitalism.